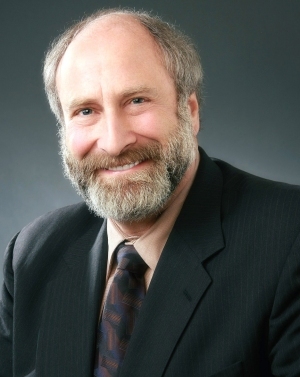 Gene Moscovitch has been a full-time mediator since 1998 specializing in resolving every single type of employment matter including wage and hour class actions. His experience extends to civil rights cases, business/commercial disputes and wrongful death/ catastrophic injury matters. Prior to embarking on this second career, he was an active trial lawyer for over 25 years, having tried in excess of 100 cases. As a mediator he draws upon this extensive courtroom experience to assist disputants in high stakes cases to evaluate pivotal evidentiary issues. In mediation, he skillfully delivers realistic insight and analysis, while always being focused on resolution. Gene’s intellect and friendly demeanor give him the ability to examine issues critically, communicate freely with both sides, and provide candid feedback when necessary. For example, when faced with a challenging civil rights matter, he draws upon his days as a Deputy Federal Public Defender when analyzing allegations of excessive force, over detention and police misconduct. His candid approach in all of the fields in which he mediates has earned him the respect of both plaintiffs and defense counsel alike. He commented “I have been fortunate over the last 20 years to be able to work in a profession that I truly love, but more importantly where I feel I can make a difference on an everyday basis.” He is known for his warmth, humor and tenacity in getting results and is universally regarded as one of the most talented mediators in California. Certifications, L.A. County Bar Association Dispute Resolution Training (1999), Straus Institute Pepperdine School of Law (1999-2001), Advanced Study in Mediation Master Forum (2001-2002), ABA Advanced Course on Conducting Arbitrations (2004). Gene enjoys international travel having visited over 75 countries, is an avid sports fan supporting his UCLA Bruins, enjoys playing Texas Holdem Poker, lover of music (especially blues and jazz) and spending time with his family and friends.